What motivates women runners over 50 to continue running? What impact has running had on their lives? What was it like to be a female endurance runner in the UK in the 1960s, 70s and 80s? How can we keep fit into old age? These are some of the questions that I hope to find answers to through this blog. In 2015 I read two books about the history of the women’s marathon: Jacqueline Hansen’s “A Long Time Coming” and Kathrine Switzer’s “Marathon Woman”. Over Christmas I made myself a reading list for 2016 which includes several books about women’s experience of running. My aim for 2016 is to use these books to help me understand what we know already about older women runners. To share what I’ve learned through reading them. To use this knowledge to frame the questions that I want to ask. I’m also putting plans in place to interview women runners over 50 about their experience. I will start by interviewing four women and then review what I’ve learned. 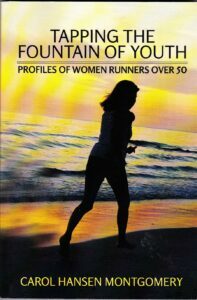 I hope that publishing interviews on RunYoung50 will celebrate the achievement of older women runners and invite others to contribute to the enquiry. Nearly all the books I have found so far are about North American endurance runners. I want to share the voices of British runners in my blog. Human Kinetics also published Richard Benyo’s book “Running Past 50” which I wrote about last year. 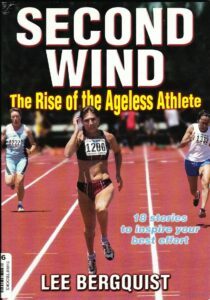 “Second Wind” features the stories of 18 older US athletes “who are challenging the notion of what it means to grow old”, including runners, swimmers, a speed skater, a weightlifter, a bodybuilder and a triathlete. 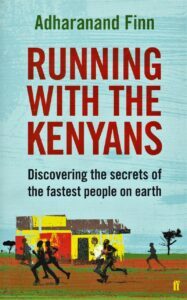 OK, I have to admit that this book has little to do with the theme of my blog apart from the fact that it’s about running. I was given “The Way of the Runner”, Finn’s book about running in Japan last year, and I love his writing style, which sometimes seems to take on the rhythm of running itself. I’ve now lent that book to my sister and in exchange she has lent me this one. 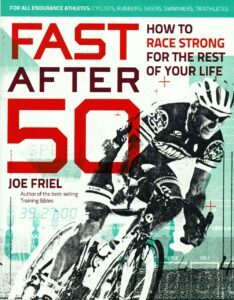 Joe Friel is an Amercian endurance sports coach and this book is aimed at all endurance athletes including cyclists, swimmers, runners, skiers, rowers and triathletes. The book contains eight chapters with nine different contributors. It draws on current scientific research around ageing and performance, but it also focused on practical advice around training, rest and recovery, and diet. I bought this book because it is included in the references in Emmanuelle Tulle’s book (see below). 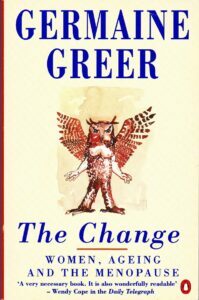 During a bout of insomnia over Christmas I read the introduction and first chapter and found some powerful messages about how the menopause has been medicalised and women’s own experiences ignored to the extent of being almost invisible in Western culture. I am looking forward to reading further. This book features 21 short chapters based on interviews with women runners or groups of runners. Mainly American, they represent a wide variety of backgrounds and running careers. I’m particularly looking forward to read the chapter on Cheryl Treworgy who set a world record marathon time in 1971, a performance that inspired Jacqueline Hansen to attempt the distance. Also the chapter entitled “The accidental athlete” about Norwegian marathon-legend Grete Waitz who won her first ever marathon in 1978 in New York in a new world record time, having run no further than 13 miles before race day. This book contains interviews with 24 American women runners aged from 51 to 83. The interviews are split by five-year age category with four interviews in each age category. The author, a retired academic, has a long running career herself and was still competing in her seventies at the time of publication. Her story features in the book. I am looking forward to reading all the interviews and seeing whether common themes emerge that could inform my interviews. 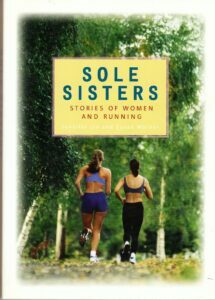 This book contains a brief chapter on the history of women’s endurance running and fourteen chapters telling the stories of women runners. The women featured are all American with the exception of Kenyan Lornah Kiplagat, and they represent a range of experiences and ages. I am grateful to Dr Dave Hindley, author of the Running the Line blog, for lending me this book as academic publications are very expensive to buy and I don’t have access to a university library. 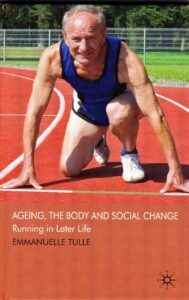 The book gives a sociological perspective on the experiences of ageing runners. The author, an academic at Glasgow Caledonian University, interviewed 21 veteran Scottish runners aged between 48 and 86. She asks whether veteran runners’ experiences can lead us to reframe social and cultural ideas about ageing. I will have to apply myself to reading this book because I am not familiar with sociological theories but I expect to gain valuable insight into the wider significance of the questions I am asking. 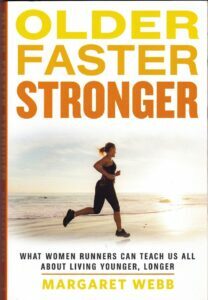 How could I resist a book with the subtitle “What women runners can teach us all about living younger, longer”? Canadian endurance runner Margaret Webb decided to see if she could run faster after fifty, and to investigate what she would need to do to improve her performance. Along the way she seeks advice on sports science, diet, building strength, training and motivation. Amongst the people she meets is American elite ultrarunner Pam Reed who also features in Shanti Sosienski’s book. I read half of this book on holiday in October and am looking forward to finishing it. Oh wow! Great list of books. Thanks for sharing. Very interesting to see your blog. I have just come into the LV50 category but I would never have done all the running and racing without the support of my fantastic mentors in my club at Goyt Valley in Derbyshire. We have some amazing veteran ladies who defy the stereotype of the older woman. I think you get tougher as you get older and also once past the childbearing years you can focus more on training. Keep on writing your blog it’s very inspiring. Thank you Helen, I am glad you like the blog. We have strong veteran women runners in my club too, including three who are competing in the V70 age category.